Mexican Sugar Skulls Cross Stitch Pattern to print online. 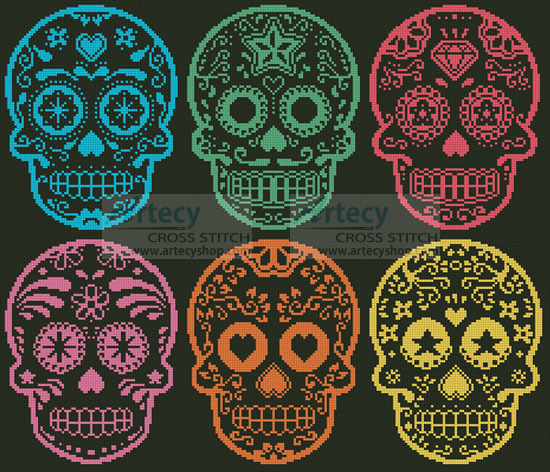 This counted cross stitch pattern of six Mexican Sugar Skulls Designs was created from an image by redkoala - Fotolia. Only full cross stitches are used in this pattern. It is a black and white symbol pattern. Stitch on Black fabric if you do not wish to stitch the black background stitches.